Filmcast Without a Cause first sing-through episode! 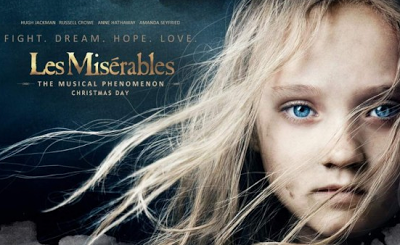 ...actually we review the sing-through musical Les Miserables. In the news: Looper for best original screenplay, The 2012 Black List, and Tarantino discussing Basterds spin-off. Closing the show out Jacob and P@ each make 3 cinematic wishes for the films of 2013. As always your thoughts are welcome. Make a quick list and tweet them to us at @FilmcastWOAC. OR! Try the brand new FWOAC PHONE, leave a voicemail of your thoughts on either Life of Pi or your favorite cinematic animal, and of course your most anticipated film of the winter season. Can't wait to hear from you! Enjoy the show and make sure to leave us some comments/feedback so we can make this puppy sparkle (and REEL QUICK please patronize some of our advertisers to help us cover the cost of producing and hosting the show).